Charlotte, NC (May 7, 2016) – Dalton Sargeant made the trip from the largest tracks he will see in 2016 being Talladega Superspeedway, to one of the smallest in Anderson Speedway in Indiana. 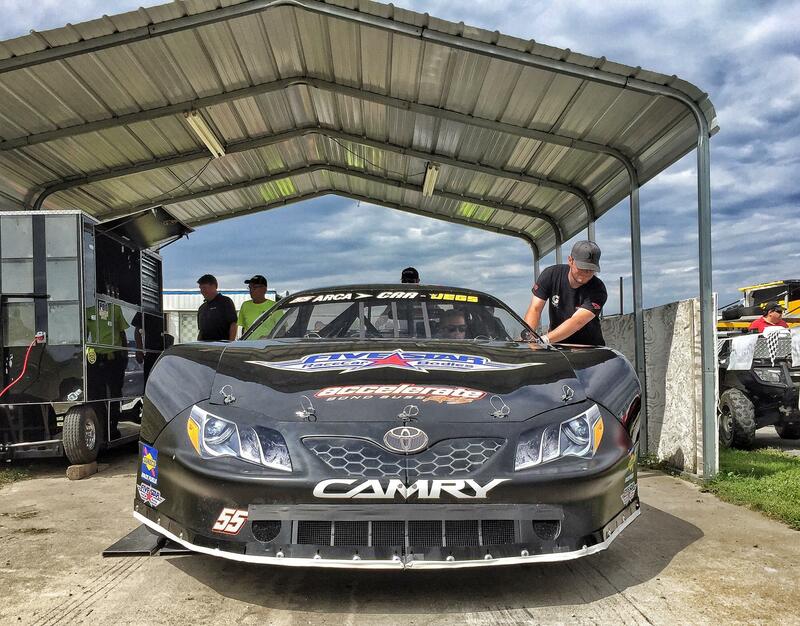 The Windows 10 Accelerate Motorsports Toyota Camry had speed right off the trailer early in practice even though it was the first ever visit to Anderson Speedway for Sargeant. Good speed in practice did not translate into qualifying speed as Sargeant set the 9th fastest speed, putting him deep in the field for the start of the 150 lap event. The qualifying result was ultimately the beginning of the downfall for Sargeant as the No. 55 Camry was involved in a couple incidents that required attention from the crew. Sargeant and the Windows 10 crew never gave up and raced hard for a top 5 finish, coming up one position short of that goal at the end of 150 laps. "This was my first dose of a true quarter mile bull ring and it was a little tough to get adjusted to. It was a lot of fun seeing the opposite side of the spectrum this past week from Talladega to Anderson Speedway...I'd say we use the same amount of front bumper at both tracks but for completely different reasons haha. Anderson was pretty rough with moving each other around for position, it was fun and a completely different way of racing than I've ever experienced. The crew worked hard for three straight days and gave me a car I could really race and had speed, but unfortunately starting that far back in the field I needed a tank instead of a race car! 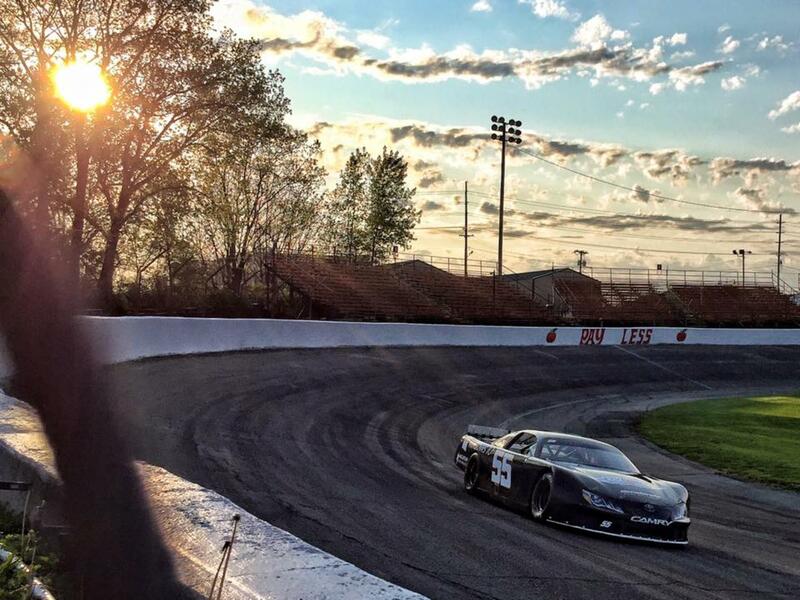 We'll be back to Anderson Speedway for the Redbud 300 in a few months so it was good practice for that event."